Our 2011 Road Trip #24: Washington vs. Columbus « Midlife Crisis Crossover! After lunch at Peanut Butter & Co., we walked another block-‘n’-a-half northeast through Greenwich Village to Washington Square Park, one of those diverse, bustling, happy public places that all the best city parks aspire to be so they can attract the attention of Hollywood location scouts. The park’s origins date back to the 1820s, with occasional reconfiguring and adding done since then. You might remember it from such films as, well, every film that’s ever had a scene of Manhattan elderly facing off at outdoor chess (the Pixar short “Geri’s Game” comes most recently to mind). Sadly, either we entered on the wrong side or they were temporarily removed — the west end of the park was, as with much of NYC this week, torn apart, mid-upheaval and under construction. 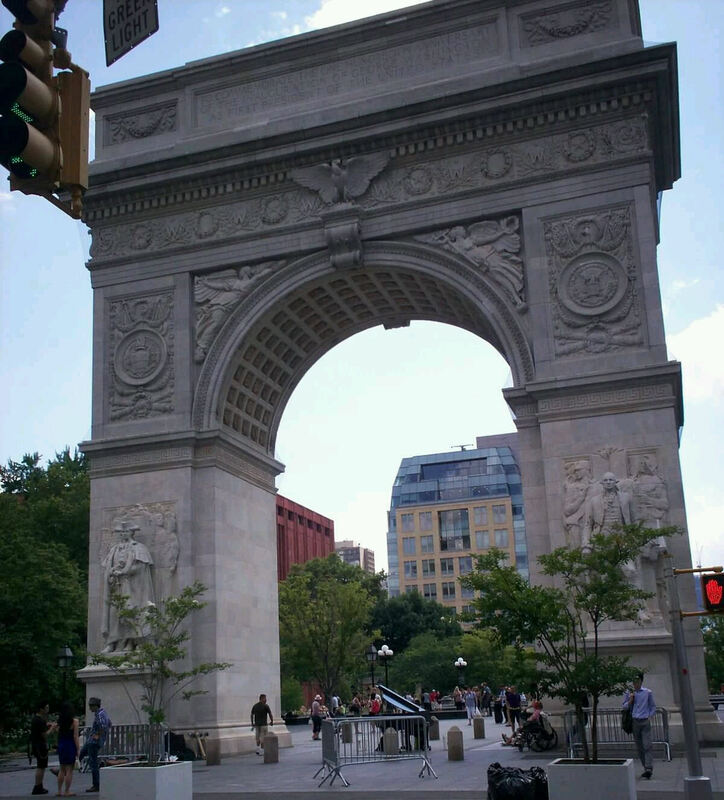 But its most prominent feature is that big, bold Washington Square Arch, which was dedicated in 1895, some years after the hundredth anniversary of President Washington’s inauguration. As late anniversary presents go, I imagine this one’s lateness was forgiven. A common fixture in movies and 1970s Marvel comics, as I vaguely recall from old issues of Amazing Spider-Man. Let us raise a standard to which the wise and the honest can repair. 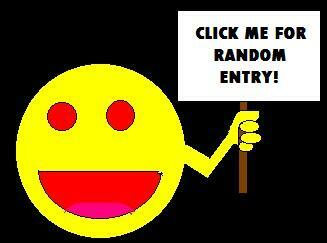 The event is in the hand of God. That’s the side facing south toward the park. The north side faces Fifth Avenue and isn’t so flat. 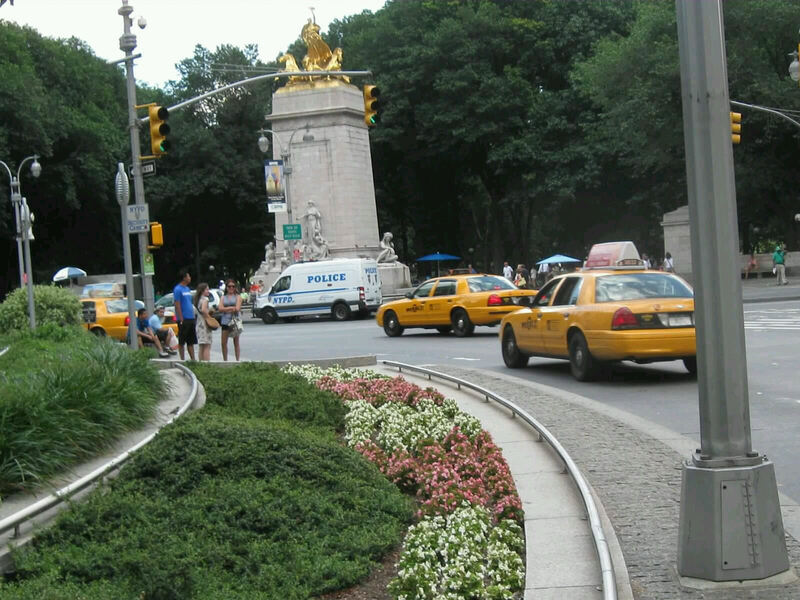 On each side are two different statues. 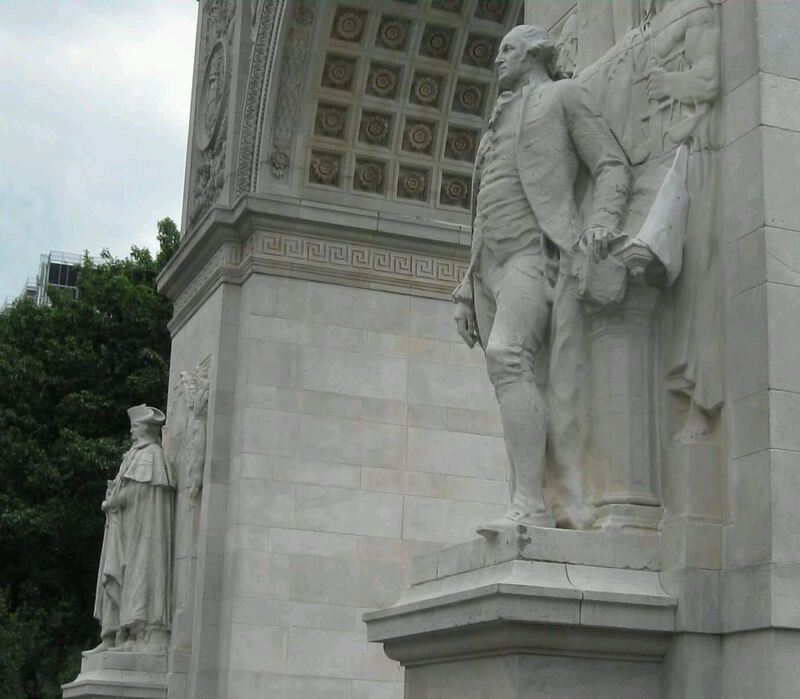 “Washington at War” is at far left in hat and trenchcoat; “Washington at Peace” is so relaxed that he has no need for accessories to make him feel more protected. 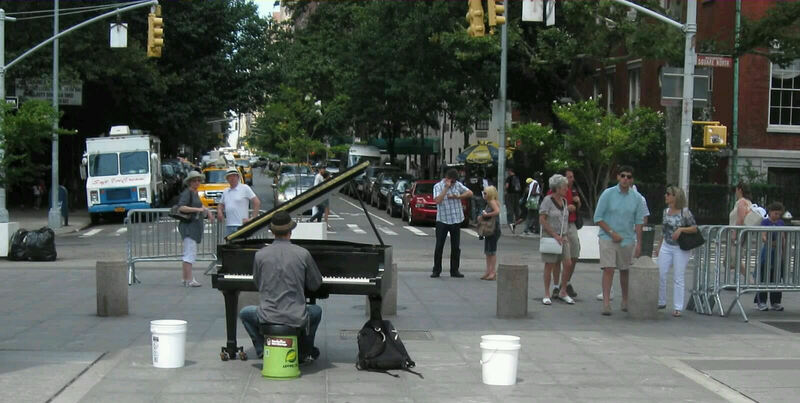 Washington Square Park is a bubbly refuge for street artists, at least one drag queen, and several charming musicians, even those with non-portable instruments. Good luck dragging this piano through a subway entrance. 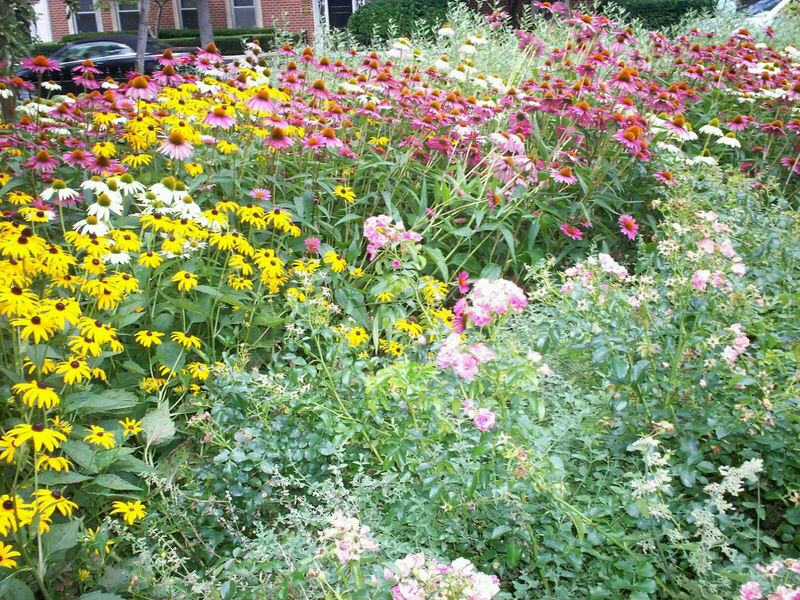 A rare sight in Manhattan throughout our week: pretty garden flowers! 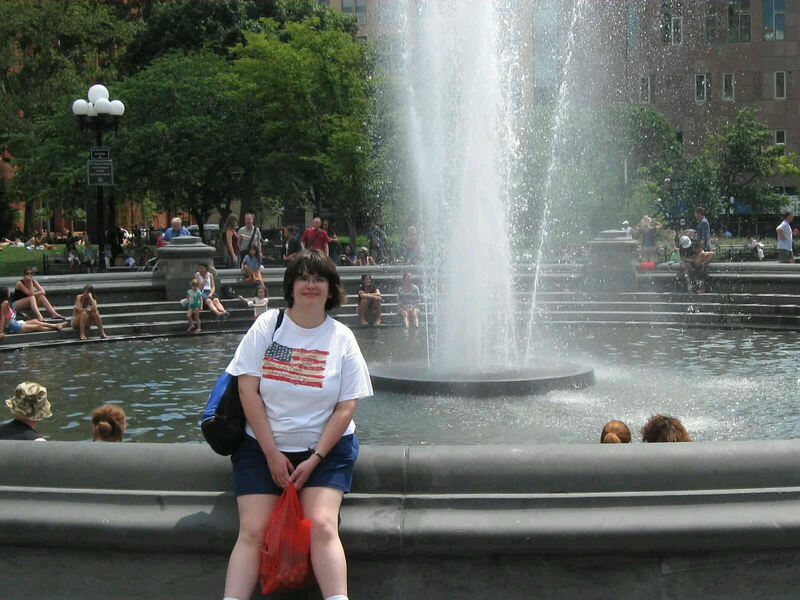 My lovely assistant Anne directs your attention to this mandatory park fountain. Due northwest of Washington Square Park was the same subway station we’d used on Tuesday for our brief McDonald’s diversion. I have no idea how we missed this entire park on that walk. 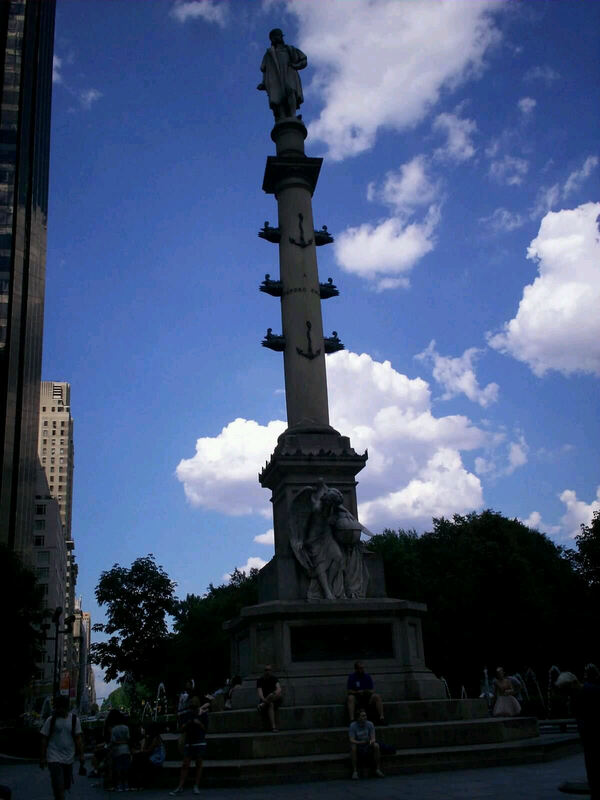 We descended, boarded, and returned to Columbus Circle. This time we took a few extra photos. Probably the only roundabout we saw all week. The Circle’s centerpiece is the the 1892 Christopher Columbus statue, made in Italy for that 400th anniversary celebrated in schools but largely lambasted a lot on the internet these days. 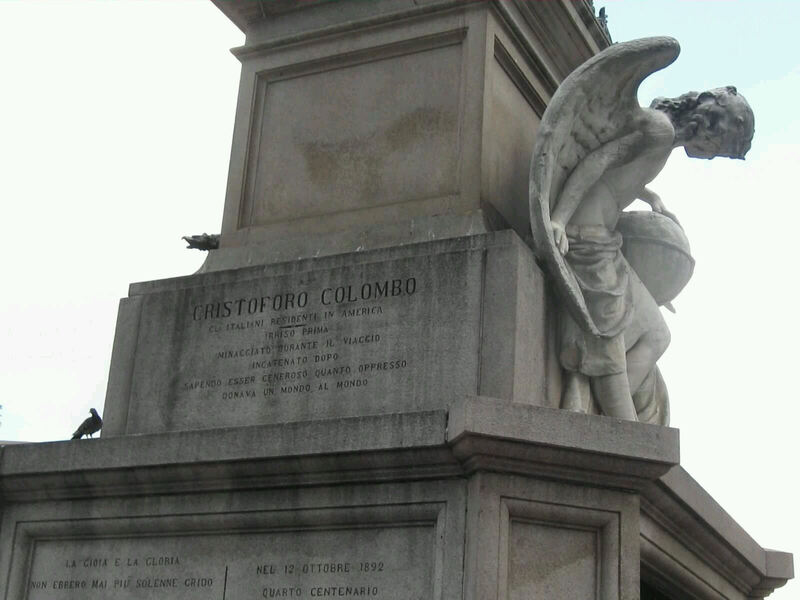 Some of the authentic Italian inscriptions carved into the base. 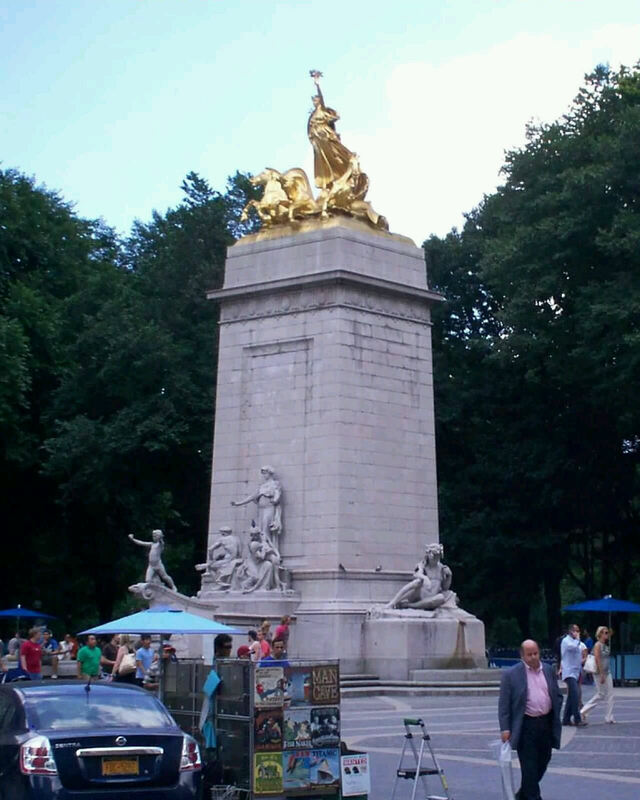 The USS Maine National Monument, dedicated in 1913 to remember the Main, recently celebrated its centennial. 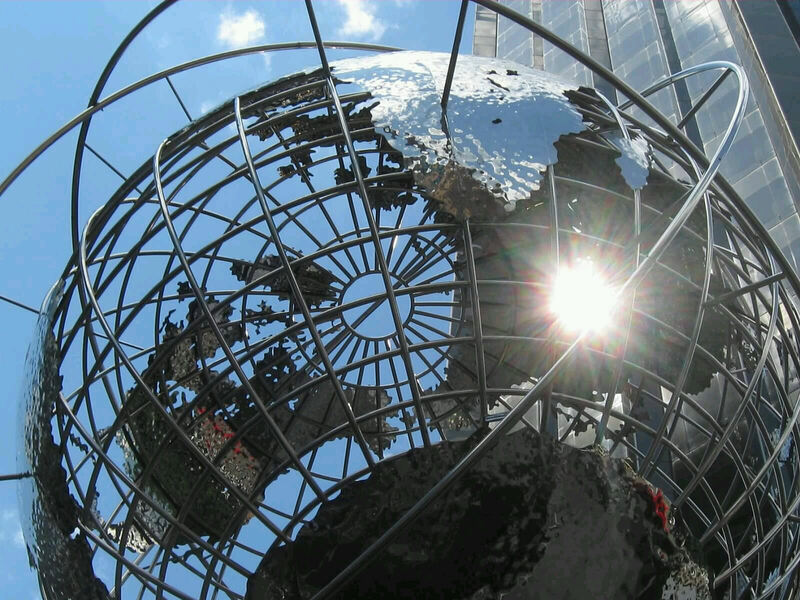 We’d previously seen the Trump International steel globe on our way back from Grant’s Tomb, but this time we had a new perspective, emerging from the Columbus Circle subway station just underneath it. Every history class needs a cool globe like this in their classroom. I guess it’s okay if they’re smaller. From there we moved on to one last, long walk down Broadway and through Times Square. For old times’ sake. 1. I’m a big fan of roundabouts. Here in Indy in recent years they’ve been multiplying like rabbits who really, really love each other very much.